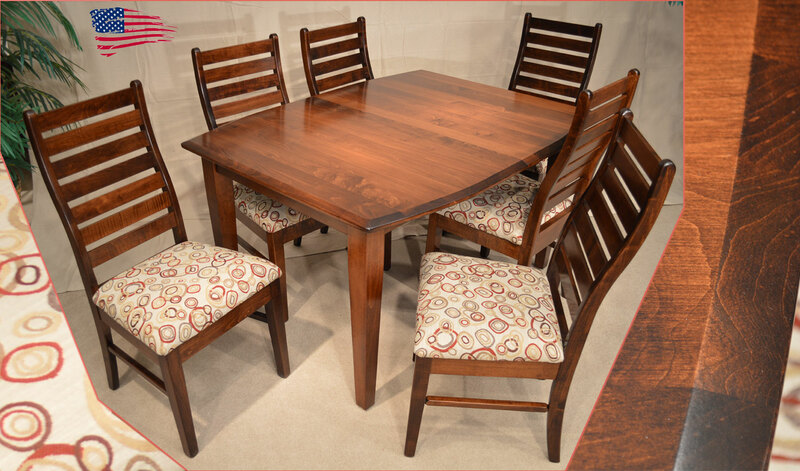 Amish Shaker Dining Table and Liberty Ladder Back Chairs. Beautiful, contemporary design in this simple boat tail top Shaker Leg table. Heirloom quality meets contemporary design in this set. Ladder back chairs feature stylish designer fabric seats and ergonomical lumbar support. Shown in Brown Maple with Beveled Edge.